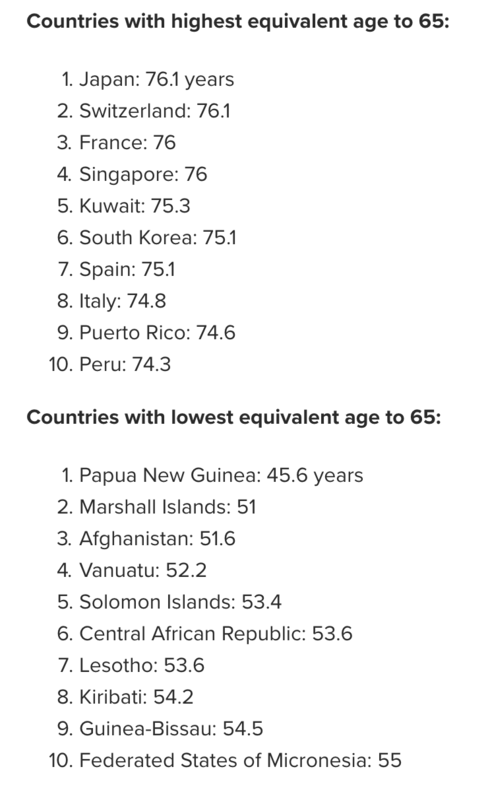 Japan and Switzerland have the world's healthiest older people. People experience the health problems of the average 65-year-old at different ages around the world, with citizens in some countries suffering them 30 years earlier than in others. Japan and Switzerland have the healthiest ageing people, with the average person in both countries reaching 76 before they suffer the health problems of the global average 65-year-old. By contrast, people in Papua New Guinea make it to just 46. Americans reach 68.5, placing the world’s richest country 54th in the rankings, between Iran (69) and Antigua and Barbados (68). China comes 77th, with people reaching 66, while in India, people experience health problems five years earlier than average, aged 60. The 2017 study, Measuring Population Ageing: An Analysis of the Global Burden of Disease, published in The Lancet, also found that in every region of the world, deaths and disease related to ageing decreased between 1990 and 2017. To calculate their findings, researchers focused on 92 age-related diseases, including 13 cardiovascular, 35 cancers, six chronic respiratory diseases, three diabetes and kidney diseases and six injuries. They measured how many healthy years each disease took off people's lives in 195 countries, as well as figuring out a benchmark state of health for the average 65-year-old globally. "Age-related health problems can lead to early retirement, a smaller workforce, and higher health spending", said Dr. Angela Y. Chang, lead author and postdoctoral fellow at the Center for Health Trends and Forecasts at the University of Washington. "Government leaders and other stakeholders influencing health systems need to consider when people begin suffering the negative effects of ageing. These disparate findings show that increased life expectancy at older ages can either be an opportunity or a threat to the overall welfare of populations, depending on the ageing-related health problems the population experiences regardless of chronological age." The study is the first of its kind, according to its authors, as it takes into account not just chronological age, but the speed at which health is impacted by ageing. Globally, the age-related diseases with the biggest impact were ischemic heart disease, brain haemorrhage, and chronic obstructive pulmonary disease. The world’s population is getting older, with nearly every country seeing growth in the proportion and number of older people. In the US, life expectancy at birth has increased by more than 30 years in little more than a century, to 78.6 years. In India, it has risen by 11 years since 1990. 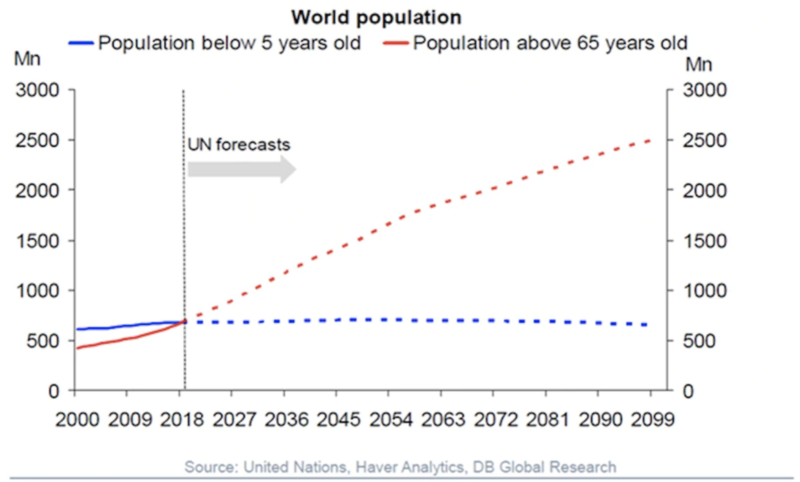 By 2050, one in five people in the world will be over 60. And already, for the first time ever there are more people over 65 than under five. The health issues that come with ageing - “a progressive loss of physical, mental, and cognitive integrity” - can carry a heavy economic burden for governments. Understanding when and where these problems manifest can help them design policies that keep people healthy for as many years of their increased lifespan as possible.